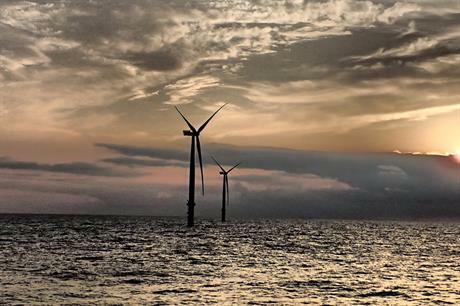 GERMANY: The framework conditions for Germany's first auctions for grid connection and support payments for offshore wind projects in the North Sea and Baltic Sea have been published by federal energy regulator Bundesnetzagentur (BNA). The first auction for a total of 1.55GW is scheduled for 1 April, with bids to be lodged by 3 April. The second auction, also for 1.55GW, will take place on 1 April 2018. Of the total volume of 3.1GW covered by the two auctions, at least 500MW is reserved for projects in the Baltic Sea, the BNA said. The lowest bids for support will be successful, the maximum bid allowed being €0.12/kWh, noted the BNA. All offshore wind sites that were permitted or had reached an advanced stage in the permitting process before August 2016 are eligible. The auctions apply to offshore turbines to be commissioned after 30 December 2020. Support rates are to be fixed by market auctions and no longer by state decree. The new system ensures a steady and cost-efficient expansion of offshore wind, according to BNA president Jochen Homann.